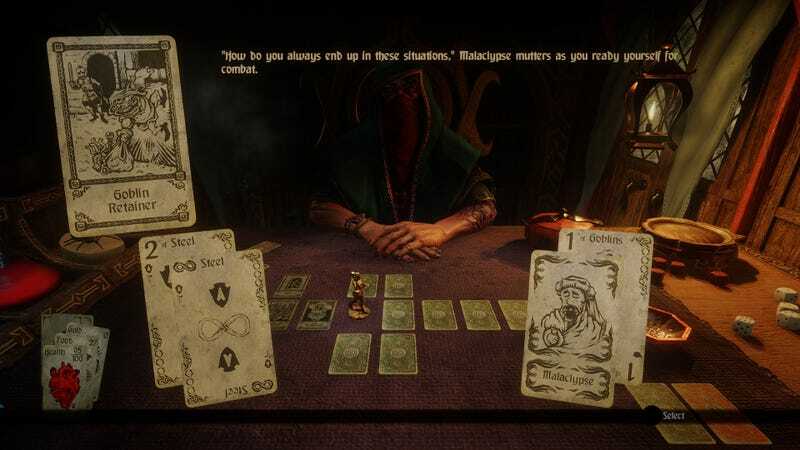 The 2015 hybrid card game and action role-playing game Hand of Fate was surprisingly good, if a bit rough-edged. It built a following, sold some 400,000 copies on PC and console, added 1.5 million more through a free Xbox Games with Gold promotion and was successful enough that it’s getting a slicker sequel that was shown off behind closed doors at last month’s Game Developers Conference. Some of us on staff loved the first game, so we’re considering this announcement of Hand of Fate 2, set 100 years after the last one and coming out in early 2017, to be very good news. As before, players amass a collection of cards that represent enemy encounters, narrative decisions, gear, health. All screenshots in this story are via Defiant Development and show the new game in action. A dealer lays a selection of those cards face down on the table, and the player turns them over one card, then any adjacent card, and so on, with each turn of a card revealing a new plot point, story branch, battle or rest stop along the way. The original game had performance issues, especially in the real-time battles when they played out on console. Those versions of the game initially ran with a poor framerate and required significant patching. What Jaffit showed at GDC ran smoothly and was more visually impressive than the original Hand of Fate. 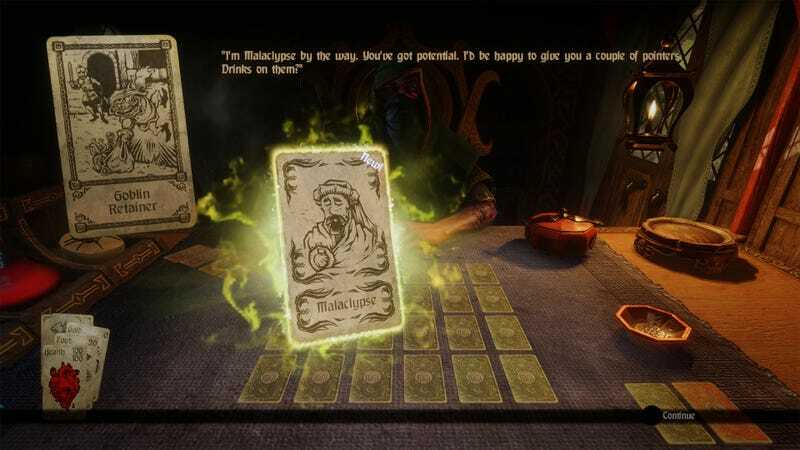 Much of the gameplay takes place at the card level where, also as before, players meet characters and face challenges that can earn them a reward token. Many cards in the first game had special criteria that, if you met them, earned you special rewards or even a new card that furthered the original card’s micro-story. 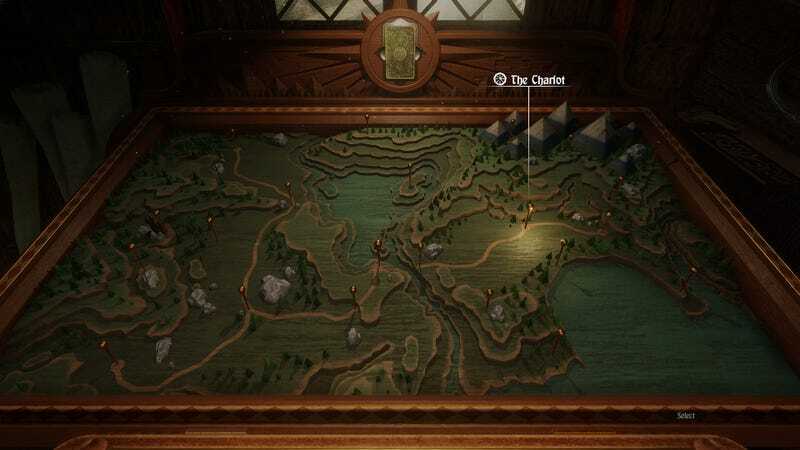 The first Hand of Fate’s gameplay favoured players who could plan well and see well. You’d get a card telling you some vampires wanted some of your blood and you could decide how much to give them, risking your health in future turns while hoping for a good reward. Or you’d turn over a treasure chest card and then have to identify which of four quickly-rearranged face-down cards contained the chest’s treasure (the developers swear this was always visually trackable). One of Hand of Fate 2's new companion characters. The new game sounds like it’ll require even more careful thought. 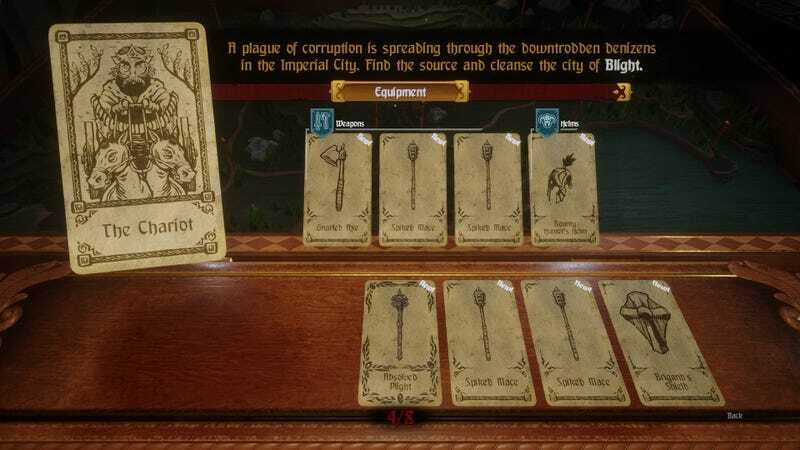 Players will head into the game’s numerous deck-based missions with the opportunity to arm themselves with two special silver card and one gold, all representing special perks. They’ll be able to recruit companions and further their micro-stories. Most crucially, the game’s big missions will be designed to challenge their deck-building abilities. Some missions are set up to consume your food faster or testing your endurance. “Now we’re designing challenges as if we’re the dealer,” the game’s director, Morgan Jaffit, told Kotaku. “[We’re saying:] ‘Deckbuild something that beats this!’” The design is intended to keep players from brute forcing their way through the game. The good ideas of the last game are being fleshed out. Players will still turn cards over that pull them into real-time battles, but now the game’s designers at Brisbane-based Defiant Development can tie the different possible outcomes of those battles to different branches of a mission. For example, Jaffit explained, a player can be asked to defend townspeople in a real-time battle and wind up with a different subsequent adventure depending on how many they protected. The impression Jaffit gave about the game is one of improvement rather than reinvention. Missions now start from this map, instead of the old game’s chest of card decks. Some of Jaffit’s ideas for changes are charmingly specific. It bugged him, for example, that players of the first game could buy cards in the stores that they could encounter from turning over a shop card while playing through a deck. “The shop system is wrong,” he said, “not that anyone has called on it.” Since the game showed the player’s character walking into the shop, players were essentially seeing something from the card level come to virtual life, as they did the cards that spawned real-time battles. By that logic, he lamented, there shouldn’t be cards within the shops. There should be rendered items that the cards would have represented. “It’s the wrong philosophical layer of abstraction and it actually bugs the crap out of me.” It sounds like he’s going to address that with his team in the sequel. 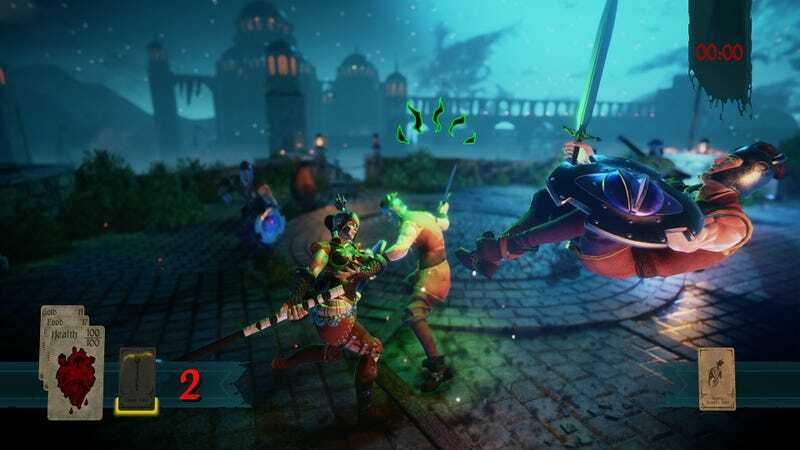 Hand of Fate 2 is announced for a Q1 2017 release for PC, Mac and Linux. No word on consoles yet.